Risher WC, Kim N, Koh S, Choi JE, Mitev PR, Spence EF, Pilaz LJ, Wang D, Feng G, Silver DL, Soderling SH, Yin H, Eroglu C. Thrombospondin receptor α2δ-1 promotes synaptogenesis and spinogenesis via postsynaptic Rac1. J Cell Bio 217(10): 3747-65. Risher WC, Patel S, Kim IH, Uezu A, Bhagat S, Wilton DK, Pilaz LJ, Singh Alvarado J, Calhan OY, Silver DL, Stevens B, Calakos N, Soderling S, Eroglu C. 2014. 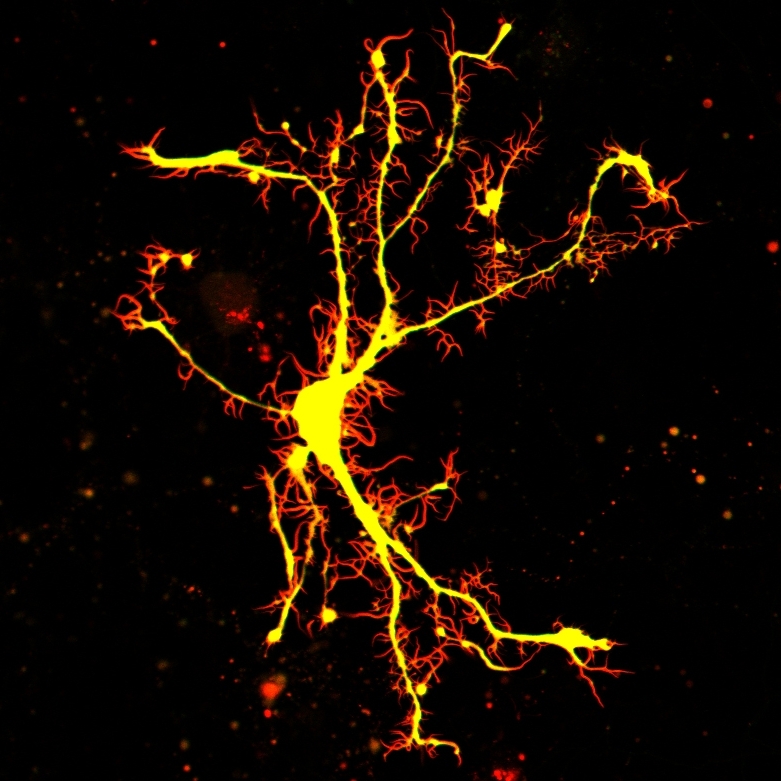 Astrocytes refine cortical connectivity at dendritic spines. eLife 3:e04047. PMCID: PMC4286724. Risher WC, Ustunkaya T, Singh Alvarado J, Eroglu C. 2014. Rapid Golgi analysis method for efficient and unbiased classification of dendritic spines. PLOS ONE 9(9):e107591. PMCID: PMC4160288. McKinstry SU, Karadeniz YB, Worthington AK, Hayrapetyan VY, Ozlu MI, Serafin-Molina K, Risher WC, Ustunkaya T, Dragatsis I, Zeitlin S, Yin HH, Eroglu C. 2014. Huntingtin is required for normal excitatory synapse development in cortical and striatal circuits. J. Neurosci 34(28): 9455-72. PMCID: PMC4087216. Risher WC, Croom D, Kirov SA. 2012. Persistent astroglial swelling accompanies rapid reversible dendritic injury during stroke-induced spreading depolarizations. Glia 60(11): 1709-20. PMCID: PMC3435464. Risher WC, Eroglu C. 2012. Thrombospondins as key regulators of synaptogenesis in the central nervous system. Matrix Biology 31(3): 170-7. PMCID: PMC3961754. Risher WC, Lee MR, Hess DC, Kirov SA. 2011. Dibucaine mitigates spreading depolarization in human neocortical slices and prevents acute dendritic injury in the ischemic rodent neocortex. PLOS ONE 6(7): e22351. PMCID: PMC3137632. Risher WC, Ard D, Yuan J, Kirov SA. 2010. Recurrent spontaneous spreading depolarizations facilitate acute dendritic injury in the ischemic penumbra. J. Neurosci 30(29): 9859-68. PMCID: PMC2918261. Risher WC, Andrew RD, Kirov SA. 2009. Real-time passive volume responses of astrocytes to acute osmotic and ischemic stress in cortical slices and in vivo revealed by two-photon microscopy. Glia 57(2): 207-21. PMCID: PMC2635108.